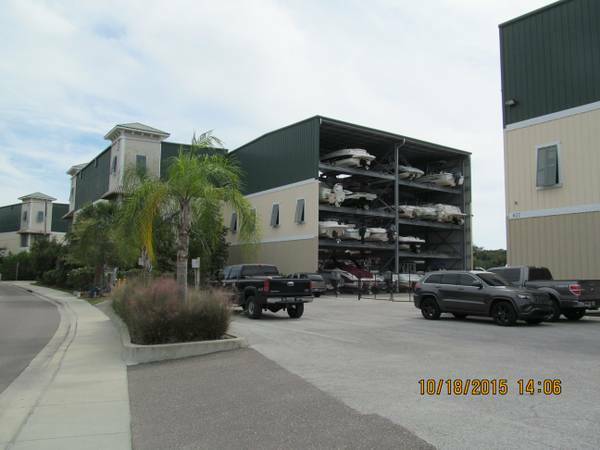 "Rackominiinium" boat rack is located at Turtle Cove Marina, the newest state of the art, full service marina in Tarpon Springs, Florida. The marina is located on the Anclote river in a protected area on the south side of the river. The marina is located within one block of the world famous Sponge docks. The sponge dock area is know for its wonderful shops and restaurants all within walking distance. You have full access to all amenities the Tiki Bar, showers, laundry room, pump out service, and complete ships store with tackle, beverages, oil and boating accessories, including a fenced in Play Ground for children. Fuel is at cost. Your boat will be washed with soap and water and flushed out, and all canvas if equipped will be put back on return. 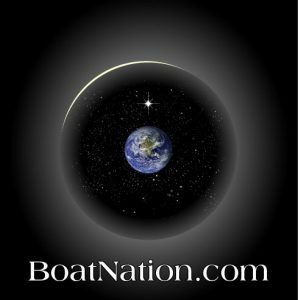 If called ahead, your boat will be fueled and ready to go when you arrive. The slip is 28' long x 9.8' wide and 8' high. Check out Turtle Coves facility at www.turtlecove-marina.com. 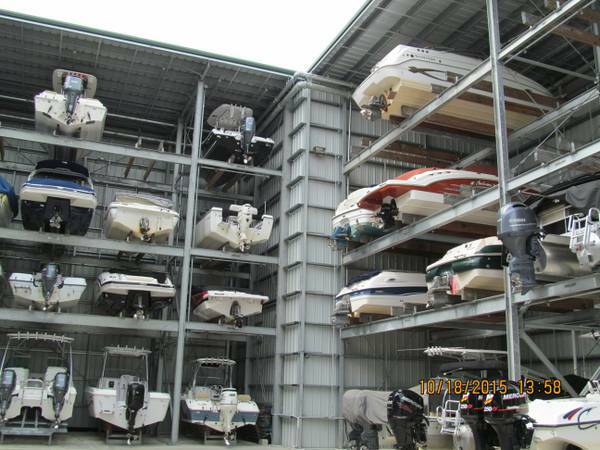 Renting your own boat slip makes boating a hassle free pleasure. Turtle Cove holds lots of events, parties and excursions by its dedicated staff. YOU WILL NOT BE DISAPPOINTED WITH THIS rack rental.